Great for use Nail Polish Remover finishing wipe, Nail prep and Brush Cleaner without leaving behind any fibres. Lint free nail wipes. 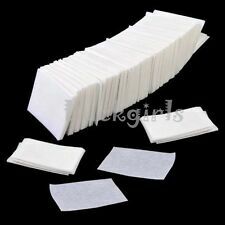 1 x 900 PCS Nail Wipes (White). Use with nail polish remove. Size of each sheet:(approx) 5.5cm x 4cm. 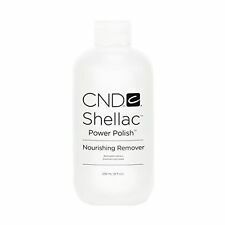 YOU CAN REFULL WITH NAIL POLISH REMOVER Very Easy to use and remove nail polish. 1 Nail Pen. liquid correct. Color: Random Color. We will try our best to solve your problem. Because we believe anything can be resolved through communication. Soaking the pads with pure acetone. Putting the soaking pads on the artificial nail. Type: Nail Art Soak Off Clip Remover Tool. 10 x Nail Art Soak Off Cap Clip. Quantity: 10pcs. For Gel or Nail polish nail removal. Can be used to remove leftover gel on surface of nails. Will not streak or dull gel nail surface. Help enhancing shining effect after uv gel nail curing. Caution: keep out of reach of children. Absorbent sponge with acetone. Type: Nail Polish Remover Bags. 1 x 50 Pcs Nail Polish Remover Bags. Used to easily remove gel nail polish. Step 4, Remove the wrap from the fingers and gently push the product off of nails with pusher and remover. Uñas 320 herramientas uñas removedor uñas toallitas uñas trapo limpio papel de algodón. Toallitas de uña libre de frizz, actualización tejido duro, no se astillen hacia fuera. 1 x 320 PCS toallitas uñas. Made from new type high technology materials, which are non toxic and nonirritant. Easy to use for tidy up after nail polishing. Pen Color: purple. sincerely hope that you can understand! Length: 13cm. Will not streak or dull gel nail surface. Help enhancing shining effect after uv gel nail curing. Can be used to remove leftover gel on surface of nails. Caution: keep out of reach of children. Sistema di Ricostruzione Unghie in Gel. Nail Prep 14 ml. Uv Gel Cleanser 125 ml. Builder Mono Gel Clear 7 gr. ELIMINA LE IMPURITà DELL'UNGHIA E LE PREPARA PER ALTRI SERVIZI. CLEANER 570 ML. >>>>> SODDISFATTI O RIMBORSATI ! >>>>> N O T A B E N E ! non esitate a contattarci! Spingere le cuticole con lo spingicuticole. Pulire bene il giro cuticole eliminando i residui. Applicare Nail Prep e lasciare asciugare all'aria per circa 30 secondi. Applicare Ultrabond, lasciare asciugare all'aria per circa 30 secondi e lasciare lo strato lucido e appiccicoso che produce dopo l’asciugatura. Description: Features: 1. Thin and lightweight material is breathable and sweat-absorption for comfortable wearing all day long. 2. With hook and loop, it can be adjusted to better fit your body. 3. Form the correct seating posture, protect eyesight and prevent short-sightedness. 4. Force the shoulder to be extended fully. 5. Decrease your shoulder and waist pain and improve humpback to shape a nice-looking figure. 6. Suitable for workers, teenagers and other people who have bad seating walking habits. Specifications: Item Type: Back Corrector Material: Cotton Color: Shown as pictures Function: Humpback Correction Package Included: 1 x Back Corrector Conversion:1cm=0.39inch /1 inch =2.54cm Note: * Please allow 1-3 mm differs due to manual measurement. Used for the application of Nail Art Foils. To push down and seal the wrap. Top Quality. Country/Region of Manufacture: China. Length: 9.7cm. Do not drop litter, to prevent the traditional cotton crumbs, skin wound infection. 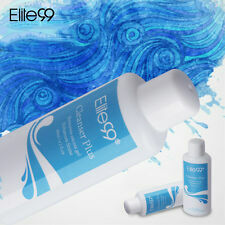 Great for use Nail Polish Remover finishing wipe, Nail prep and Brush Cleaner without leaving behind any fibres. 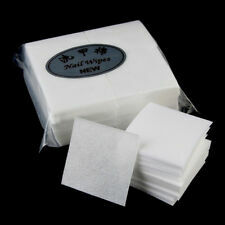 Lint free nail wipes.Soft, absorbent and sanitary. The sanitary way to dust off and cleanse any artificial nail product. Acrylic. wraps and gels. Lint-free, disposable. 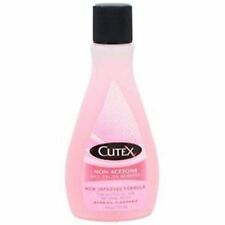 Thoroughly removes tacky gel residue. Fiberless pad will not scratch or dull surfaces, economical and sanitary way to remove dust prior to product. Can also be use with any polish remover. Helps your achieve that beautiful shine every time. Use one per client. Size: 3cm X 3cm / 1.18" X 1.18" Package include: 1 X 80ct Nail Wraps, with retail package. Note: the color combinations are more or less the same as the pictures but sometimes may vary slightly from batch to batch. The Nail Corrector Pen cleans excess nail polish quickly and effortlessly. 1 x Nail Polish Corrector Pen. Can be used repeatedly by refilling the pen. Provides for easier, more precise nail color correction. È inodore e non brucia. 1 x 60ml Cleanser Plus. Will not streak or dull gel nail surface. Help enhancing shining effect after uv gel nail curing. Can be used to remove leftover gel on surface of nails. Caution: keep out of reach of children. Matte Top Coat è un gel di finitura sottile che dona alle unghie un effetto opaco trendy e alla moda. Rilascia strato di dispersione. The Edge Nails Polish Correction Pen instantly removes nail polish application errors. Precise and easy to use, a must have for those little nail polish mistakes during application ensuring you can achieve the perfect manicure. Handy small size perfect for use as mobile nail technician To ensure the product has a long life replace lid immediately after use and keep out of direct sunlight. A Professional Product for Professional Results. 100ml UR SUGAR Nail Gel Remover. Capacity: 100ml. A bottle of nail gel polish remover, remove nail gel easily with remover pads. Perfect for removing UV gel nails and acrylic nails. Keep out of reach of children. 1 Nail Polish Removal Pusher. Perfect for quick removal of nail polish gel. Anti- slip handle, not easy to fall, convenient to use. High quality stainless steel, s turdy and durable. Material: Stainless steel. Helpful pedicure, manicure care tool. 1 pc Nail Art Gel Removal Rod. Anti-skid handle, not easy to fall. Material：cotton fibre. Type：nail cleaning paper. Due to the difference between different monitors, the picture may not reflect the actual color of the item. Color：white. QTY：500pcs. Will not streak or dull gel nail surface. Can be used to remove leftover gel on surface of nails. Due to the light and screen difference, the item's color may be slightly different from the pictures.